This Creamy Chicken Florentine is pure comfort food for days when you crave a good, warm meal. It takes 30 minutes, has less than ten ingredients and the creamy wine sauce mixed with sautéed spinach will have your entire family raving about it. I’ve been loving chicken florentine since I was a kid. It was the thing to order when we went out. 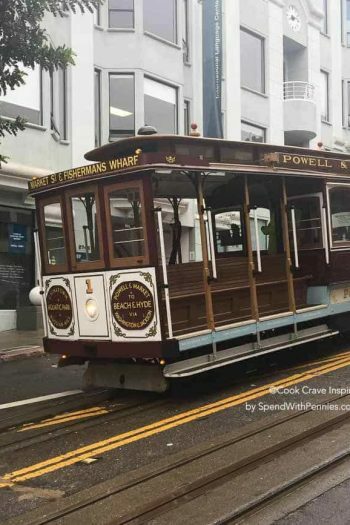 It would usually be served with mashed potatoes and we’d love the buttery, creamy combination of mashed potatoes and that creamy spinach Florentine sauce. 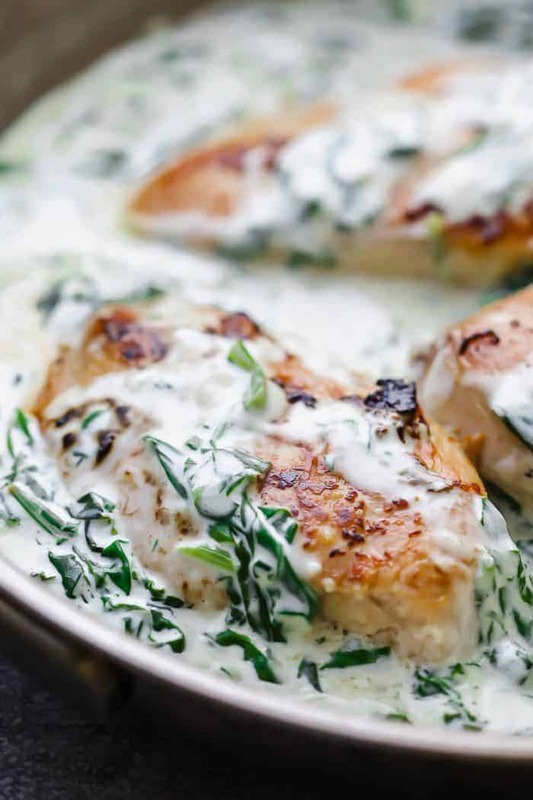 Tell me that gorgeous creamy spinach chicken Florentine sauce doesn’t tempt you! 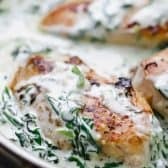 This is a simple chicken Florentine recipe where chicken is simmered in a creamy wine and parmesan sauce with tons of spinach. The result is such a classic. How do you make Chicken Florentine? And what is a Florentine sauce? This recipe starts with chicken breasts that are seasoned with salt and pepper. The chicken is seared on a hot pan in butter and olive oil, and then removed to a plate. 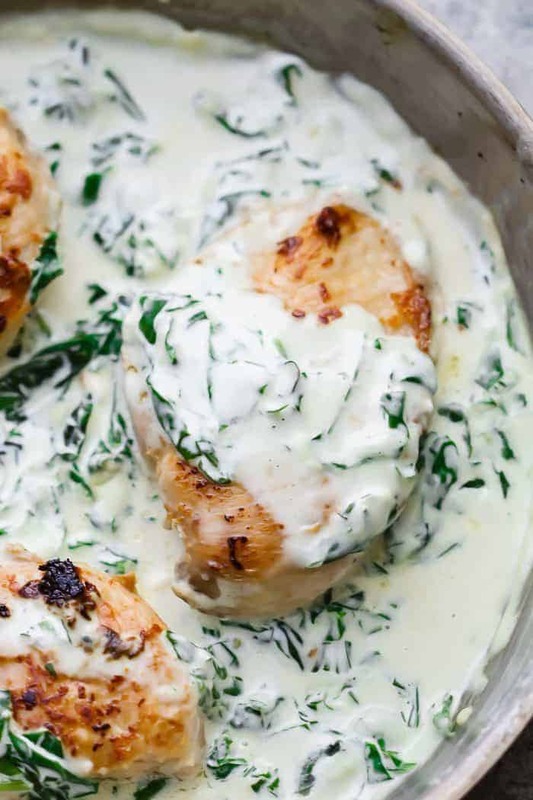 The chicken florentine sauce is simple. I like to add some garlic and once that’s sauteed for a minute or two, the pan is deglazed with white wine. Simmer the white wine down and add the spinach. How long do you cook Chicken Florentine? There are a lot of baked chicken florentine recipes, and they are similar to the creamy spinach artichoke chicken casserole. But I prefer cooking this easy chicken florentine on the stovetop because it’s so fast. It is takes under 30 minutes to cook! 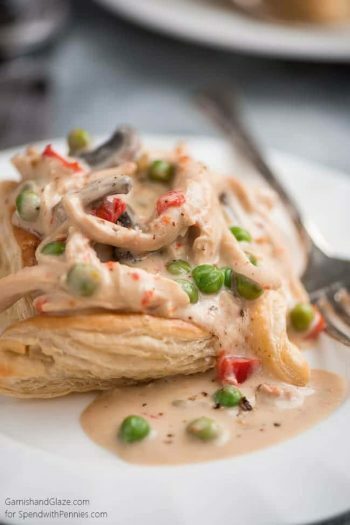 If you love chicken breast recipes that are quick and easy like I do, you’ll also like creamy chicken scallopini, baked chicken breasts and asparagus stuffed chicken. If you want to omit wine in this recipe, you can use chicken stock to deglaze the pan instead. The flavour will be slightly different, but it’s still great. As for spinach, either baby spinach or regular spinach works. If your spinach leaves are larger, just chop them up roughly so that it’s easier to eat when the dish is served. The one thing you want to watch in the Florentine chicken recipe is salt. Make sure to taste before adding any additional salt, because both cream cheese and spinach are salty and the sauce really doesn’t need any extra in my opinion. 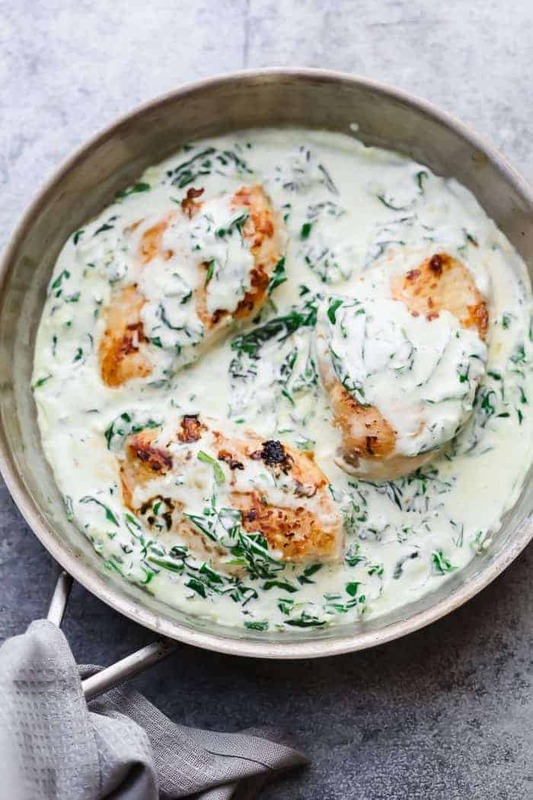 This creamy chicken Florentine will definitely become a part of your weekly dinner rotation if you try it once! Serve it with brown rice, cauliflower rice, or if you are feeling indulgent, mashed potatoes are perfect with this dish. You could also make a chicken Florentine pasta! Skillet Shrimp Fajitas – quick and DELICIOUS! Skillet Orange Chicken Recipe – less than 30 minutes! Cheesy Taco Skillet – a one pot meal! Creamy chicken florentine is pure comfort food. It's a 30 minute dinner recipe with chicken breasts simmered in a creamy white wine sauce. Season the chicken breasts with salt and pepper on both sides. Heat olive oil and butter in a large skillet over medium high heat and add the chicken breasts. Cook the breasts for 4-5 minutes on each side until cooked through and a light golden brown. Remove the chicken onto a plate. In the same pan, add garlic and saute for minute until fragrant. Add white wine to the pan and let it simmer and reduce for a few minutes. Stir the wine around so that any bits stuck to the bottom of the pan come off. Add the spinach and cook until wilted while stirring occasionally. This will take about two minutes. Once the spinach has wilted, add cream cheese and heavy cream. Bring this to a gentle simmer, making sure that the cream cheese has completely melted and is mixed well. Add the chicken breasts back to the pan, spoon the sauce over and simmer for a minute or two before turning off the heat. Serve hot.